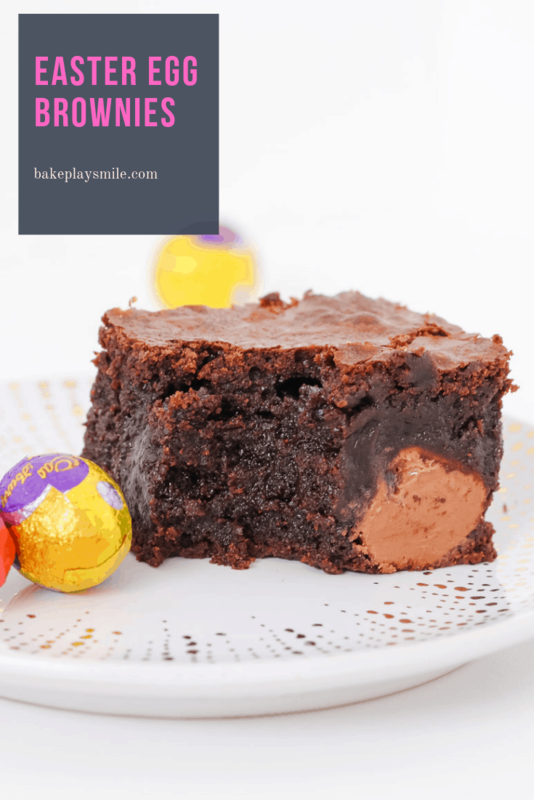 The most delicious Easter Egg Brownies you’ll ever eat… the perfect moist and rich chocolate brownie recipe packed with mini Easter eggs! 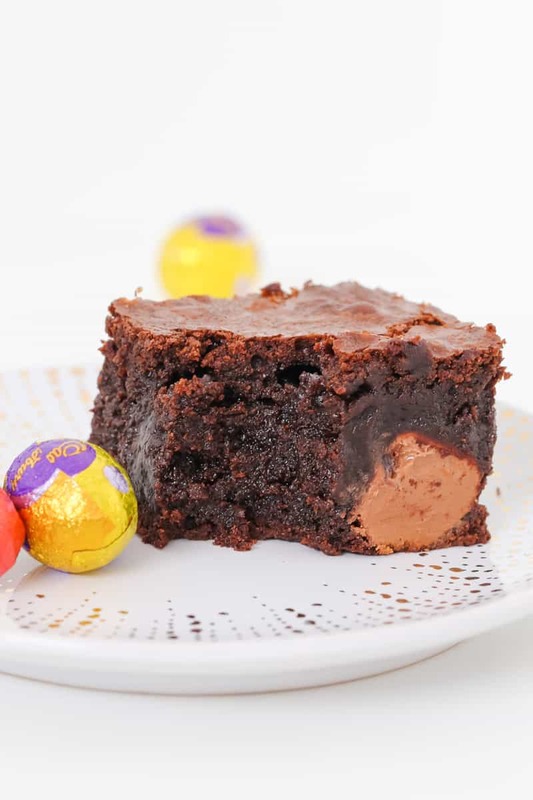 If you’re after an Easter Egg Brownie recipe that will blow the minds (and tastebuds!) of even the biggest chocoholic… then whoop whoop! You’ve come to the right place. 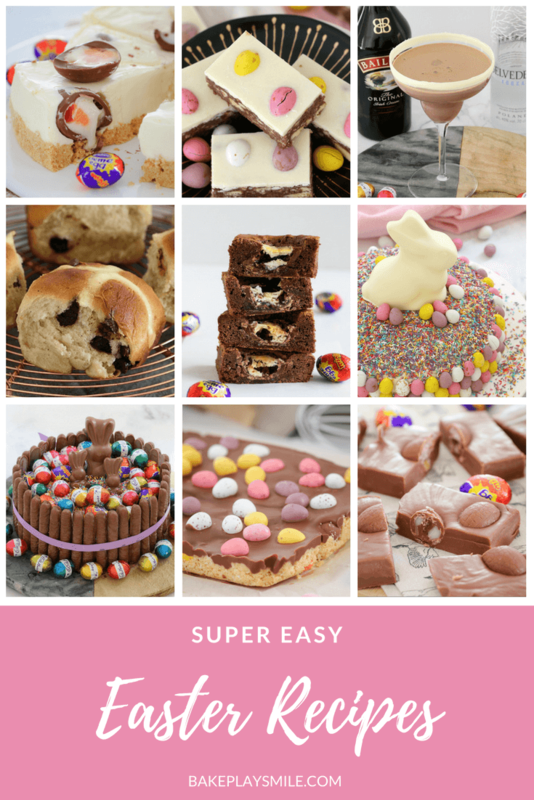 Think super rich, gooey and crazy-chocolatey. Sounds pretty perfect, right!? Gosh I love Easter! 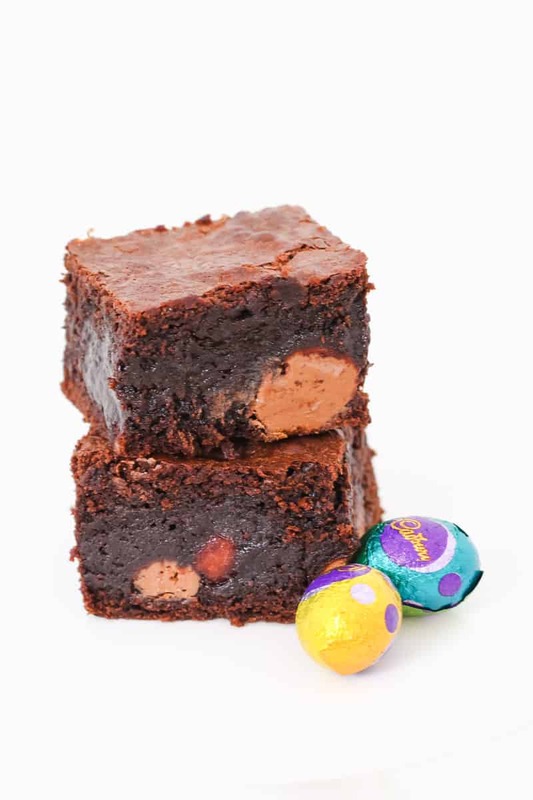 You might notice that there’s no rising agent (bi-carbonate soda, baking powder, self-raising flour) in most brownie recipes (including this one) – and that’s because you don’t want them to rise. 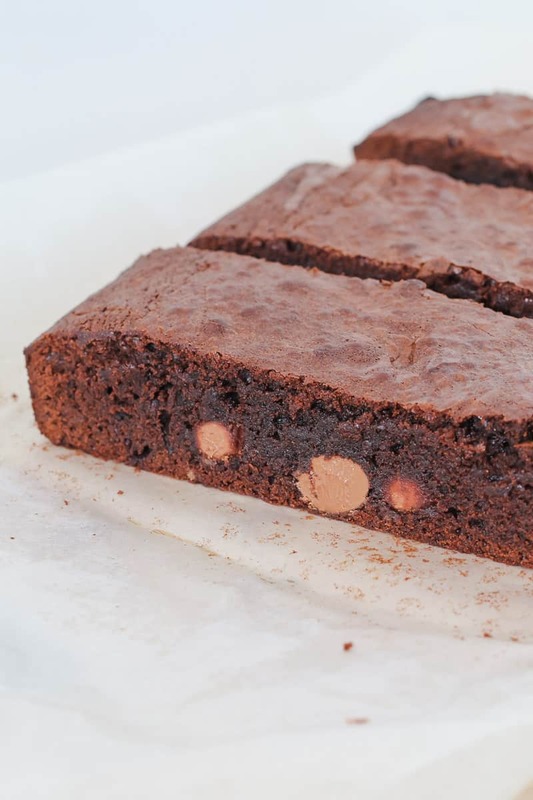 You want the brownies to cook and stay flat, deliciously moist and rich. YUM! 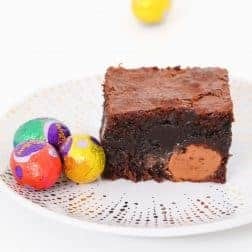 This is the easiest one-bowl, no-mess brownie recipe. You’re going to love how quick and easy it is! Melt the butter, chocolate and brown sugar on 50% power in the microwave (see my tips below). Stir and allow to cool slightly. Stir through the eggs and vanilla extract. Sift over the plain flour, cocoa powder and salt and gently mix through. 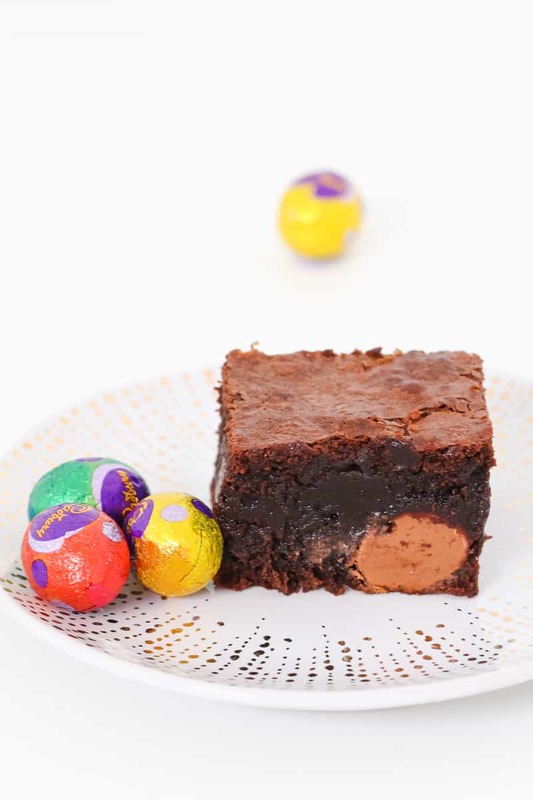 Stir through the solid Easter eggs and bake for 25 minutes or until just cooked through. 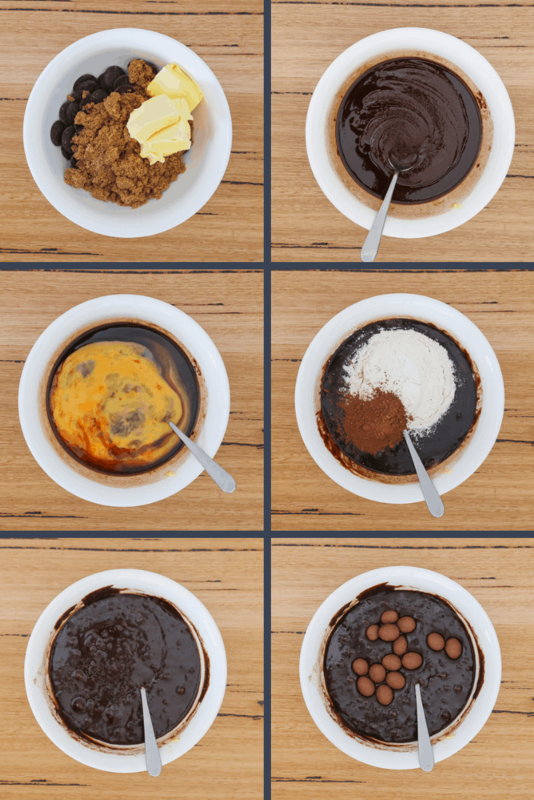 How to perfectly melt chocolate in the microwave… every single time! In this recipe, we need to melt the butter, chocolate and brown sugar in the microwave. If you cook chocolate in the microwave on a power level that’s too high, it will seize up… and there’s not much you can do to save it! Break the chocolate into pieces (for this recipe, also chop the butter). Cook on 50% power in 30 second bursts until just melted. Stir at the end of every 30 seconds. You don’t want to overcook it – as soon as it’s just melted, it’s done! 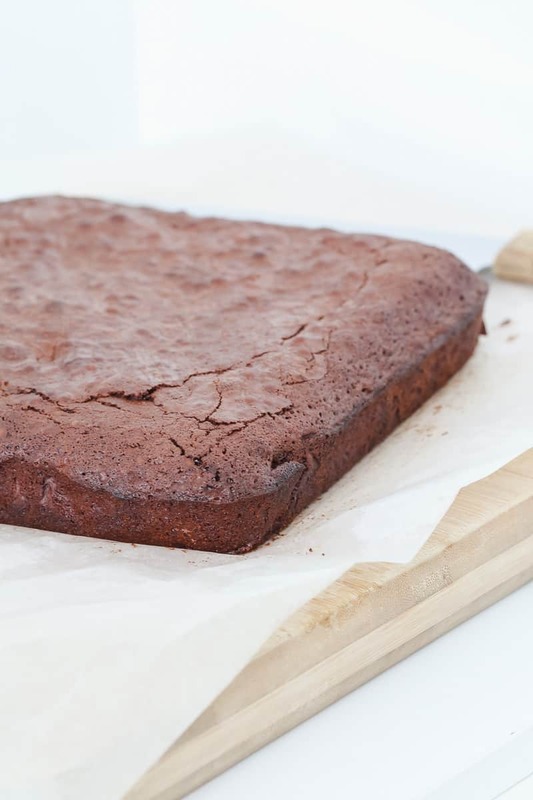 When it comes to brownie recipes, they fall into two categories… chewy or gooey. 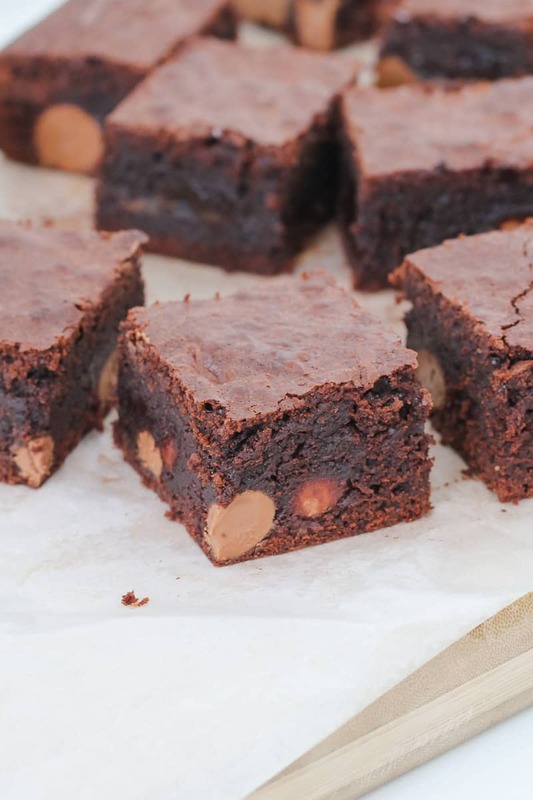 I’m a massive fan of Team Gooey (and these brownies are exactly that). Think the most amazingly rich and dense chocolate goodness EVER! 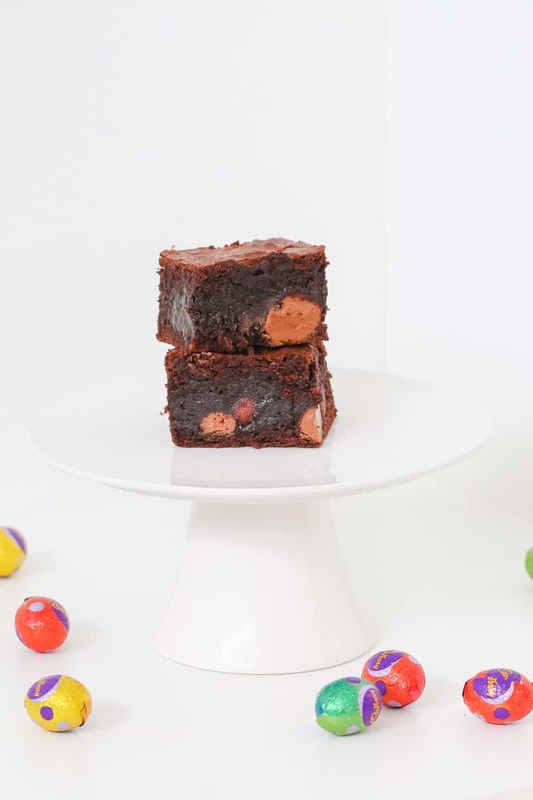 If you’re after a chewy chocolate brownie recipe, this ones a goodie too (simply replace the M&Ms with Easter eggs if you like!). Brownies are best stored at room temperature in an airtight container. They’re at their very best during the first 3 days but will keep for up to 5 days. If you’ve made a big batch, you can always freeze the brownies for up to 3 months. Preheat oven to 190 degrees celsius (fan forced) and grease and line a square baking tin with baking paper. Set aside. Place the butter, dark chocolate and brown sugar into a microwave-safe bowl. Melt on 50% power for 3-4 minutes (stirring every 30 seconds) or until melted. Allow to cool slightly. Mix through the eggs and vanilla extract. Sift over the plain flour, salt and cocoa powder and gently stir. Stir through the mini solid Easter eggs. Place into the oven to cook for 25 minutes or until a skewer inserted into the middle comes out slightly sticky with crumbs. Allow to cool and then cut into slices. Store in an airtight container at room temperature for up to 5 days. Place the butter, dark chocolate and brown sugar into the Thermomix bowl and melt on 50 degrees, Speed 2, 4 minutes (or until melted). Allow to cool slightly. Add the eggs and vanilla extract and mix on Speed 4, 8 seconds. Add the plain flour, salt and cocoa powder and mix on Speed 4, 5 seconds. Scrape down the sides of the bowl and repeat for a further 5 seconds. Stir through the mini solid Easter eggs with the spatula. Love gooey, What size tin did you use and how many does it serve? 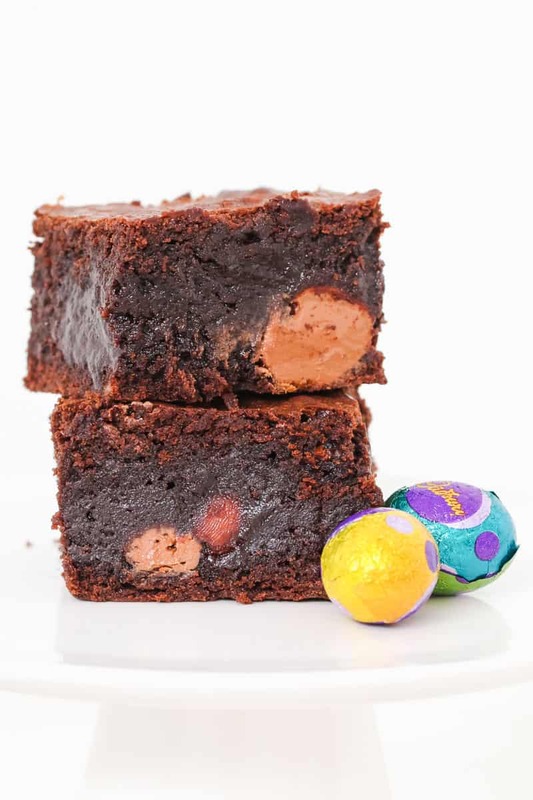 Want to make it for Easter and there are 13 of us so maybe have to double. Such an easy bake and so delicious! Thanks for the recipe! Thank you SO much!!! I’m thrilled you liked it! !